Is Crowley just going to watch from the sidelines? 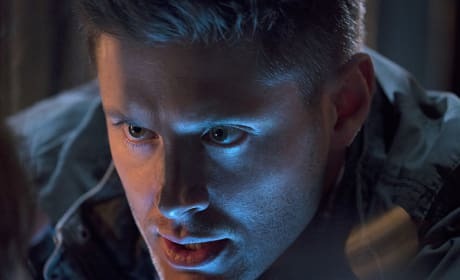 Or does his plan involve getting Sam and Dean killed by Lucifer. 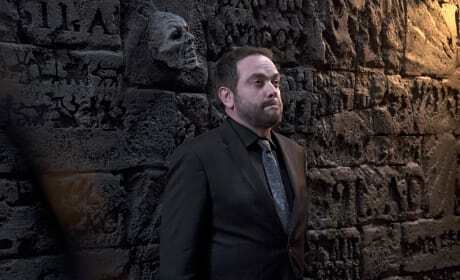 The King of Hell is up to something. Can anyone hope to beat Lucifer in the cage? Castiel has been tossed aside like a rag doll. The angel better get back up. It’s not over! 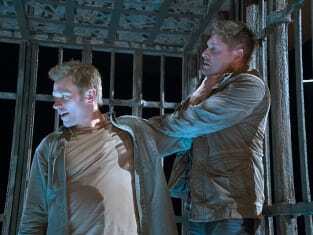 Dean is going to get his brother out of the cage, even if it kills him. There’s no way he’s backing down from Lucifer. Get ready, Sammy, Dean is here. The older brother has arrived to the rescue. He looks pissed at what Lucifer did to Sam. How the heck are they going to get out of this situation… alive? It’s an angel vs. angel battle in the cage. Can’t you just feel the intensity between the two? 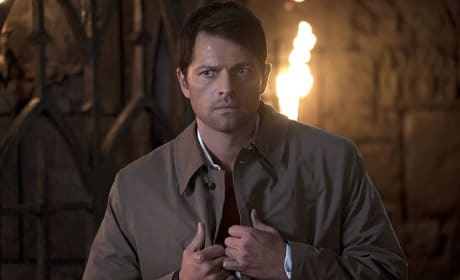 Castiel better be careful. 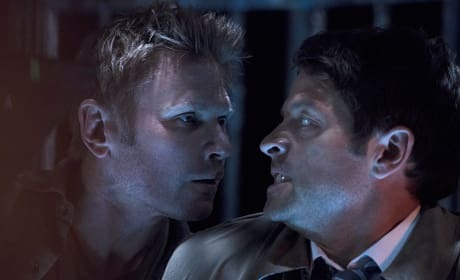 Lucifer has had a long time to stew and wait to exact his revenge on Castiel and the Winchesters. Sam is not having a great day. Lucifer has clearly done a number on the youngest Winchester. 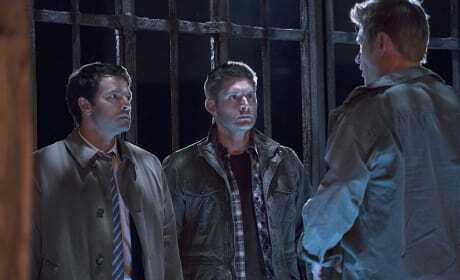 Dean and Castiel better get Sam out of the cage and fast! Castiel and Dean may be in over their heads this time. Lucifer looks to have the upper hand, and he’s sure to have some witty quips to dole out before throwing punches. And is that pure anger from the two heroes or do they look a bit worried? 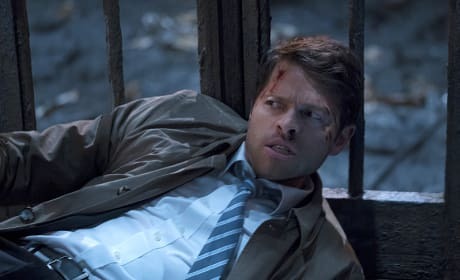 Castiel must be done his binge-watching on Netflix, which is perfect because Sam’s stuck in the cage with Lucifer. 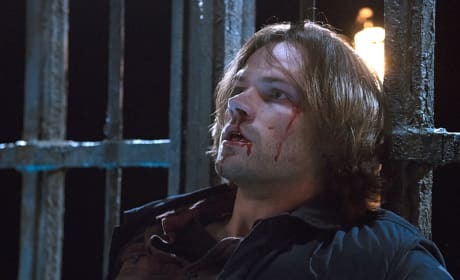 Let’s hope he can use his angel’s powers to whisk Sam out of the cage! 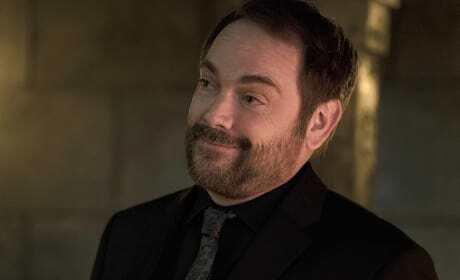 Crowley seems rather amused. Is it because he’s got Rowena prisoner again? Or perhaps it’s seeing Dean? Or maybe he’s got a plan so clever, there’s no way it can go wrong? Did Rowena really think she would get to be partners with Crowley after the whole Lucifer debacle? Crowley definitely has the upper hand now, and that collar is certainly no pretty jewelry. Who thinks she’ll manage to escape? 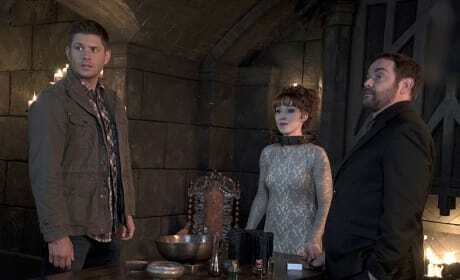 Dean better be interrogating Rowena and Crowley about why they left Sam in the cage. Though, it looks to be a much more amicable meeting. 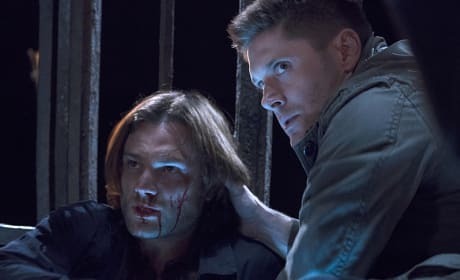 Perhaps they are working together to free Sam? Sam is beaten. Castiel is down. And now Dean is up against the ropes as Lucifer toys around with the older brother. This is Lucifer’s domain, and getting out of the cage might just not be possible.